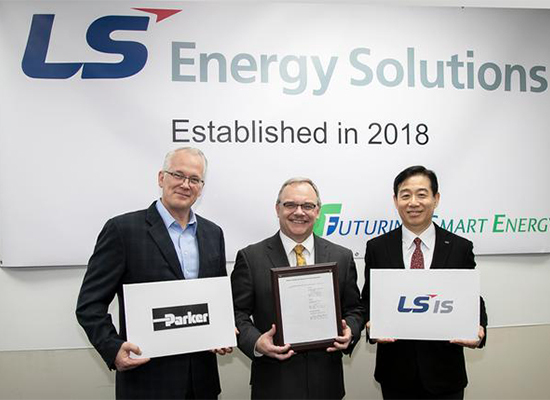 LSIS, a Korean company of electric power system, automation, and green technology under LS Group, Wednesday announced the acquisition of Energy Grid Tie (EGT) Division of Cleveland-based Parker-Hannifin, creating a new U.S.-based company, LS Energy Solutions. The EGT division started ESS business in 2007 and has delivered more than 400MW energy storage and power conversion systems around the world. Financial terms of the transaction were not disclosed. LS Energy Solutions will retain all current U.S. sales, engineering, and manufacturing capabilities of the former Parker EGT Division, LSIS said. With the acquisition, LSIS’s globally installed base now exceeds 700 MW in energy storage and power conversion, making the Korean company a technology and market leader in the industry. “Combining LSIS’s innovative smart energy technology and capabilities with LS Energy Solutions’ customer base and technology know-how will allow us to take advantage of the global market demand. We will achieve tangible business results first in North America,” said Koo Ja-kyun, chief executive of LSIS. Parker Hannifin, a Fortune 250 global leader in motion and control technologies, is present in 50 countries with more than 57,000 direct employees.